← Are You Ready to Answer Interview Questions in Spanish? For those of you who get overwhelmed with letter of recommendation requests, adapt and use this form letter. For those of you requesting a letter of recommendation, you don’t want this form letter to be used–unless it is adapted especially for you. I have advice for both groups: those asking for letters and those writing them. 1) Your full name, dates of experience with recommender, and name of the course, program or organization where you interacted. 2) A clear, concise summary of the work you did (assignments, projects). 3) A clear, concise summary of the connections between your experiences with the recommender and whatever you are applying for. Those three pieces of information will allow you to have a unique letter that makes you stand out in the crowded applicant pool. If you can’t (or don’t) provide detailed information, you will probably get a form letter like the one above. Why is that bad? Look at it. What does it describe? The course; check! The requirements for all students in that course; check! The assignments; check! Performance that is good, but consistent with pretty much every single student in the course; yup! If you’ve been asked for a letter, my advice is to create a similar form letter (or just copy the one I provided at the top of this post). Then ask anyone who requests a letter for the three pieces of information that I recommend all candidates provide (basic demographic information, descriptions of specific assignments and projects, and clear connections between experiences with you and whatever is being applied for). If the candidate provides you with the information you request, paste–then edit– that unique content. If this triggers your memory and you can add more praise, then definitely do so! Nobody should feel any anger or guilt here. Candidates: this may seem unfair to you. Isn’t it part of the job to write letters of recommendation for you if you were a good student or employee? Probably–a small part of a likely overwhelming job. Is it their job to care more about your application than you do? Absolutely not. You have to care enough to put together the best possible application that you can–every aspect of that application is your responsibility. Recommenders: if the candidate does not provide any detailed information, just fill in the blanks on the form letter and send it in. It’s a fair representation of that person’s efforts and employers / grad programs should know that–without you having to say anything actually negative! This is a solution and you should feel no guilt for embracing it. 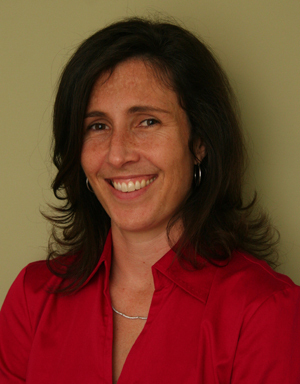 This entry was posted in darcy lear, document preparation, Professors Best Kept Secrets. Bookmark the permalink. Here’s another example of a way to give the students the responsibility of providing the information you need to write a good letter: http://lettersofrecommendation.pbworks.com/w/page/51125241/FrontPage. Whenever I received a request from students, I send them this link. When they send me their reply, then, and only then, I begin the (hard) work of writing a good letter of recommendation. Thanks, Ann. 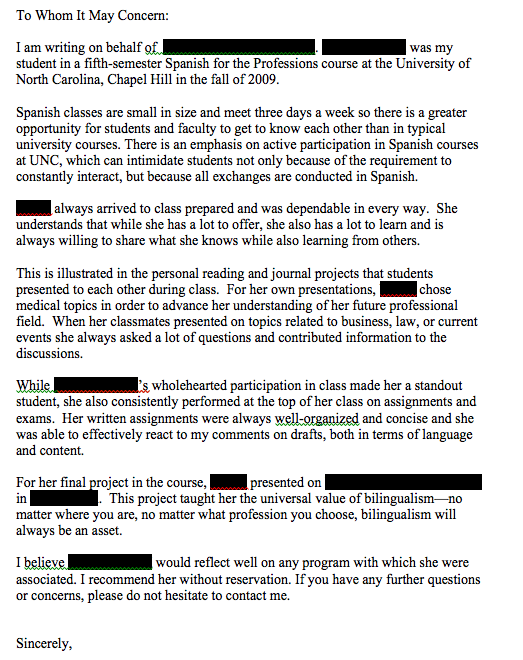 It’s great to see your system for streamlining letter of recommendation writing. So many faculty struggle with the burden of creating each letter from nothing without any real context from the candidate.